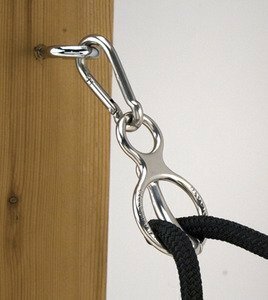 Toklat Blocker Tie Ring Trailer Cross Ties Horse Safety Tie : TOKLAT BLOCKER TIE RING The safest way to tie your horse. Safe, quick easy to use Relieves source of panic Adjustable, humane and forgiving. If you have any questions about this product by Toklat, contact us by completing and submitting the form below. If you are looking for a specif part number, please include it with your message.